The smallest of the Bark River Bravo line, the Micro keeps to the feel of it's larger brothers while taking on the tasks larger knives might struggle at. The convex ground drop point blade with spine jimping is perfect for food prep, processing small game and light camp tasks. Contoured natural brown micarta handles with pinned construction provides a surprisingly good grip for a knife of this size. 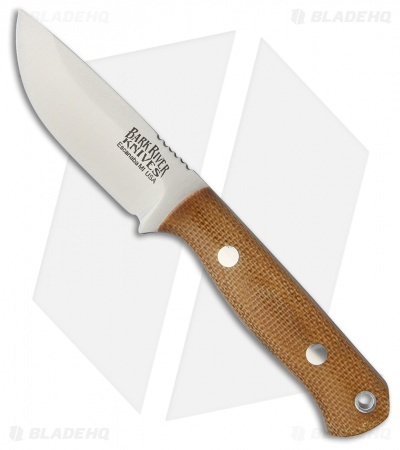 Easy throw this in your pack or cargo pocket with the included leather sheath.